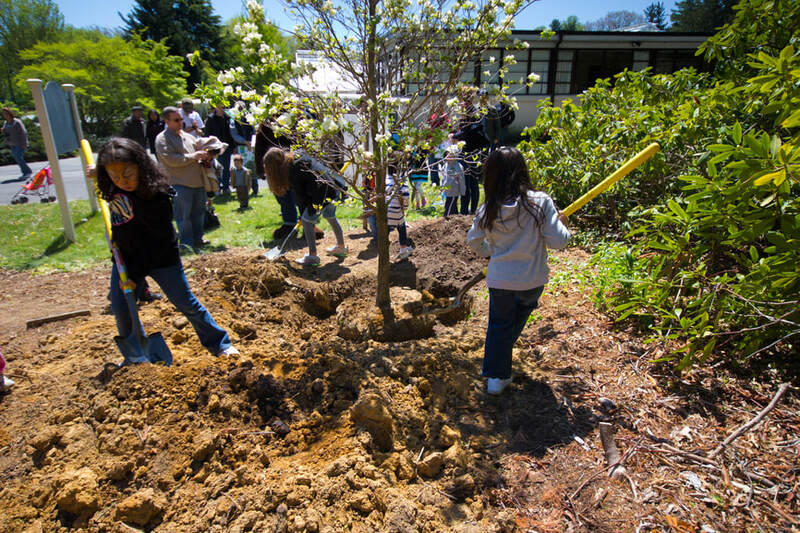 Tree planting can form an integral part of a landscaping project. Whether you are rejuvenating a preexisting landscaping project or creating a newly designed space, the use of a quality tree planting service and make or break the success of your project in both the long and short term. Michiana Commercial Landscaping is a local tree planting service that will make sure that you get the best quality service for your project. We will work with you to assess your landscaping and tree planting need in order to provide a comprehensive service that takes into account your space, purpose and budget. Just one of the benefits to enlisting the help of a tree planting company is the shade and shelter it can provide. Let your customer, clients, employees and visitors experience the beauty of well-chosen large trees that can reduce cooling costs. Providing shade through the strategic planting of large trees can totally change your business's approach to sustainability and save you a lot of money in the long term. Large trees are more aesthetically pleasing than other artificial means of cooling and much more sustainable. In the cooler months, you may not want the same level of cover and an experienced tree planting company can help manage these environmental factors. One of the first things that concern businesses when they are looking to plant trees to enhance and beautify their site is what a tree planting service will cost. While this is an important factor to consider, it is also important to note that if the tree planting is not done correctly it can have long-term costs for the business. Commercial tree planters have the knowledge to select the right species of tree to plant given the allotted space and what species will achieve the look and feel that your business is striving for. Seasonal changes can be a serious issue for those designing or maintaining a commercial space and proper horticultural planning is necessary when selecting species, scheduling planting times and developing maintenance plans. It's vital that when you are looking to hire a tree planting company you choose one with the experience and knowledge to ensure that your project goals are achieved and that you have future problems with root placement or any number of other issues that can occur if the tree installation service is not undertaken by professionals. Michiana Commercial Landscaping offers a highly professional and experienced large tree planting service in South Bend that is committed to customer satisfaction and high-quality results. They have the horticultural know-how to help you avoid some of the pitfalls and can guide you through the process. When you are looking for tree planting companies in Mishawaka there really is no going past Michiana Commercial Landscaping. Not only will they dig the holes and plant the trees but they also set them up with the best chance of steady, healthy growth through fertilizers and structural supports. It's not just tree planters for hire, they do so much more. They have the knowledge and experience to create vibrant, healthy and sustainable landscaping for all your commercial needs.